We won’t be repeating our twelve cocktails of Christmas extravaganza this year, but we did want to mark the start of the holiday season with something festive. I recognise it as the inspiration for last year’s A Cocktail of Two Cities, which had the same London/Paris-gin/champagne thing going on. 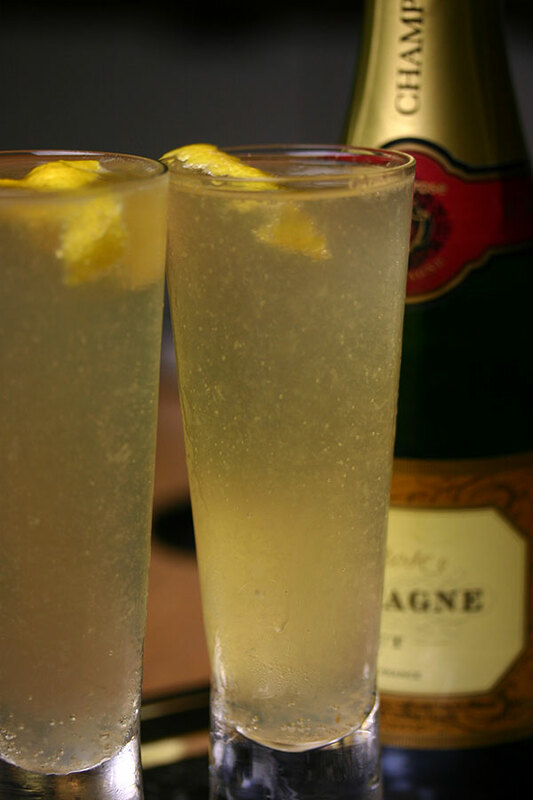 A simple, elegant drink, the magic of a French 75 is in the balance of ingredients: gin, lemon juice, sugar and champagne. I went for a 2 to 1 ratio of the gin/lemon mixture to champagne. This Christmas, our great friends Margo and Aaron travelled from Canada to spend holidays with us. They are both cocktail lovers, and their visit was a big part of my idea to do the twelve cocktails of Christmas.